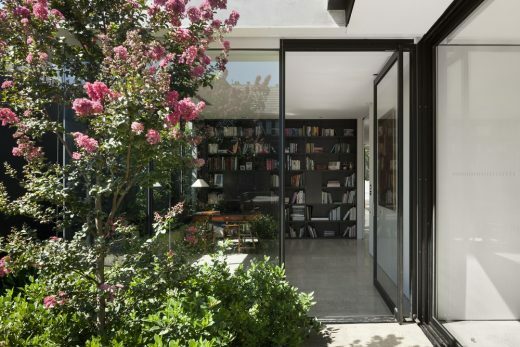 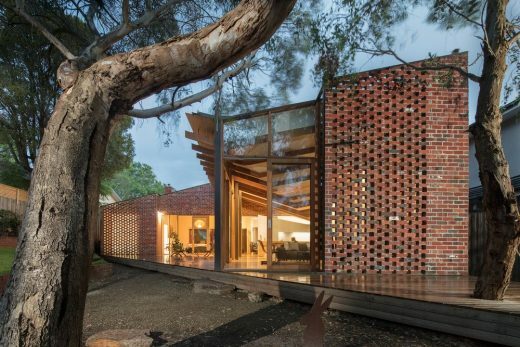 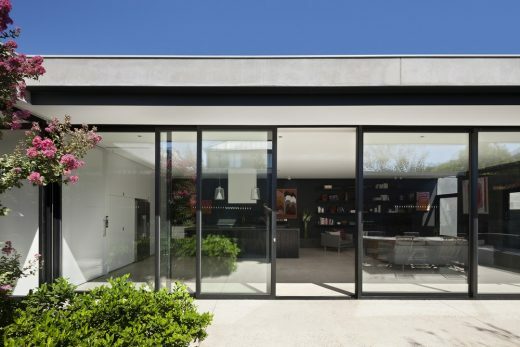 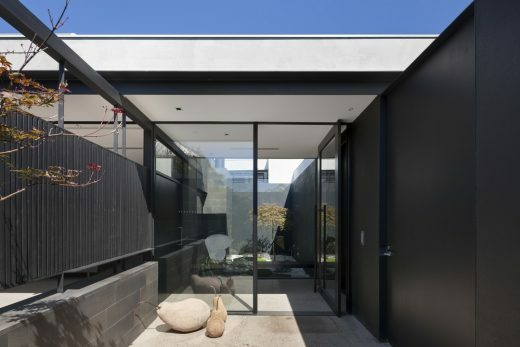 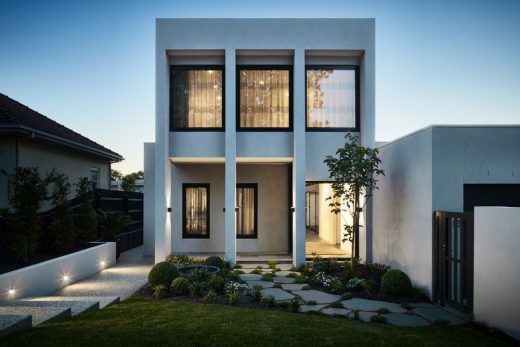 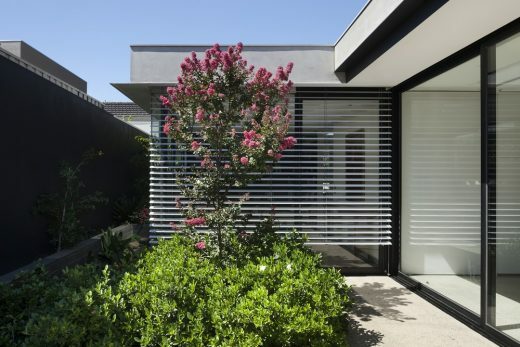 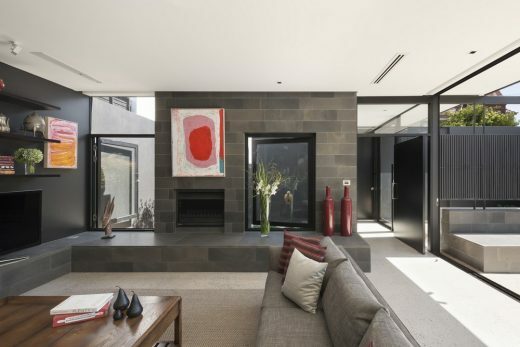 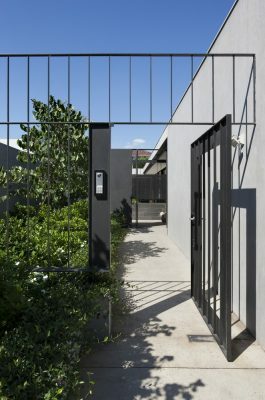 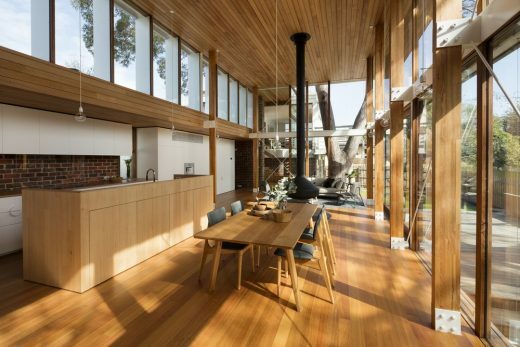 Entry into Toorak House is directly through a 3 metre garden wall, into a single volume that bounds both internal and external north facing living spaces and divides the public and private realms of the house. 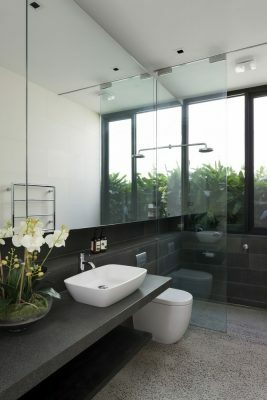 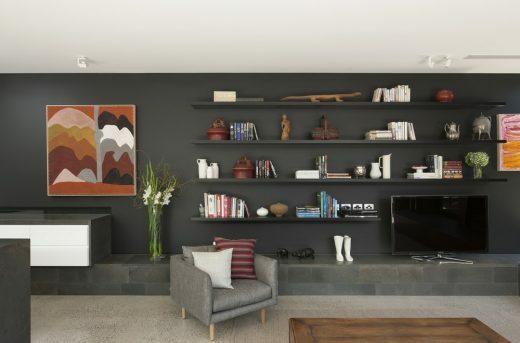 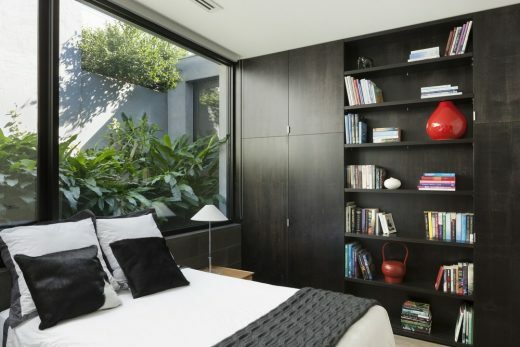 When lit subtly at night or when winter sun penetrates deep into the room, the black wall recedes to provide a backdrop for garden planting and artwork within. 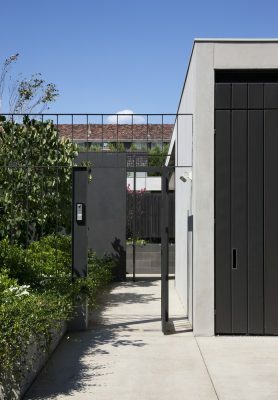 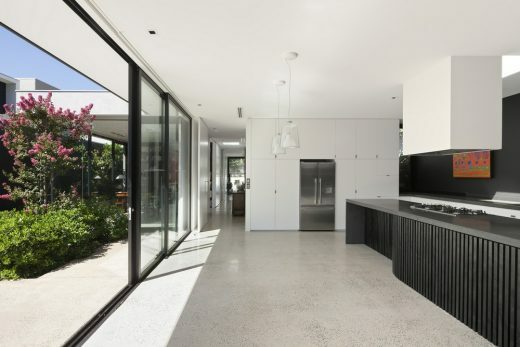 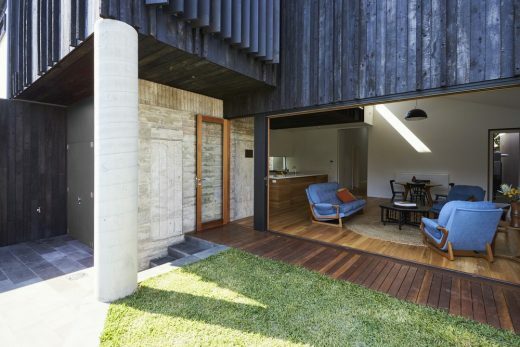 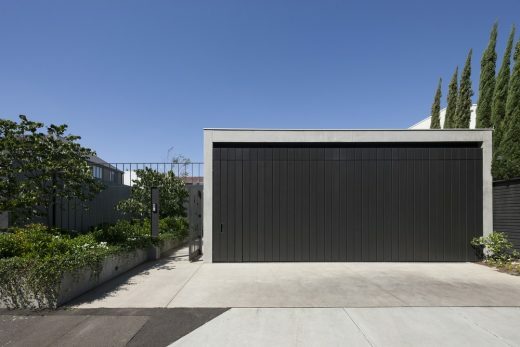 The central space is articulated by a stepped bluestone wall that screens the living areas from the entry, and defines a secondary internal courtyard. 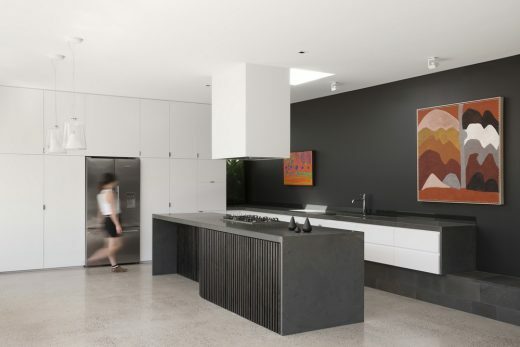 This stone extends inside to become a seat, hearth, a bookcase and hold the kitchen, hinting towards a monolithic stone ruin which the living areas have been built around. 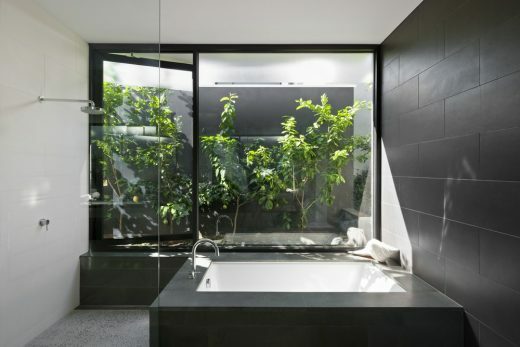 The rear of the building is set into a terracing site with full height windows onto raised garden beds bringing the green into each room.